Today we’re happy to announce the January release of Storage Explorer Preview, which is now also available for Linux. Additionally, based on questions and comments you’ve sent in, we want to use this blog post to go over the features available in the application and a roadmap to give you insights into our future thinking for Storage Explorer. 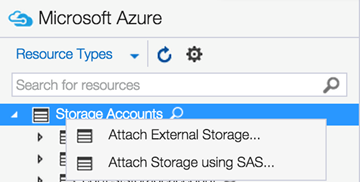 Storage Explorer allows you to view and interact with your Azure Storage resources. As we discussed in the November announcement we currently support blob features (find out more about tables and queues coming soon per the roadmap below). 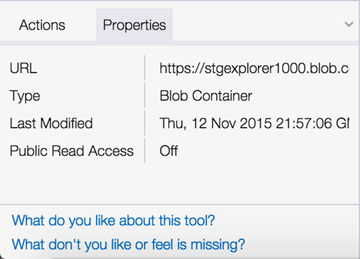 For this update, we expanded on the existing blob features and our operating system support. A full list of features is available at storageexplorer.com, or you can watch the Connect() presentation to see Storage Explorer in action. The new Linux version supports all the features available in the Windows and OSX versions, with the exception of local development storage. Now you can further specify custom endpoints for your storage accounts, so that you can connect to staging environments or custom domains. 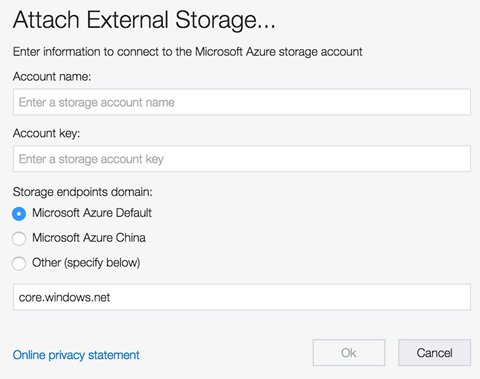 This feature also allows you to connect to Azure China Storage Accounts. 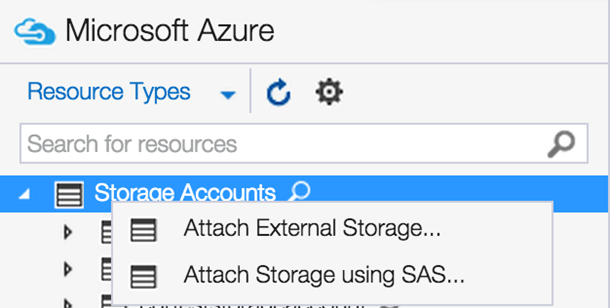 To access these options, right-click on the “Storage” node and select “Attach External Storage…”. One cool thing we added is the ability to connect to a blob container using a Shared Access Signature key. This feature requires that the SAS key provides “List” permissions. We’ve heard feedback that the ability to edit metadata is a significant feature. Now, you can access additional blob properties by right-clicking on a specific blob and selecting the “Properties” option. From this dialog, you can edit or delete existing metadata or add new values. For our first Preview release we wanted to provide one complete story for users rather than three incomplete ones. With this in mind, we chose blobs as the first storage resource we wanted to support. However, the feedback has been loud and clear in asking for support for the other resources, in particular tables. Based on your feedback, we will focus on adding support for viewing and interacting with tables next. Almost all of our efforts in the upcoming weeks will be devoted to developing features for tables. Once we provide tooling for tables, we will add support for Queues and Files next. We’ve been asked about the relationship between this standalone application and Visual Studio. We recognize that there are a handful of explorers with storage features provided by Microsoft, and we have a goal for consolidating these into a single explorer in Visual Studio (Cloud Explorer) and a standalone application (Storage Explorer). We will prioritize completing the standalone Storage Explorer application first; when we feel it addresses the most common scenarios for storage, we’ll look at integrating it with Cloud Explorer in Visual Studio. We hope you enjoy the updates we’ve made for Linux, attaching storage, and modifying metadata. You can check out these features by downloading Storage Explorer for Linux, OSX, or Windows. If you have any suggestions, issues, or recommendations, you can send us feedback directly from Storage Explorer.